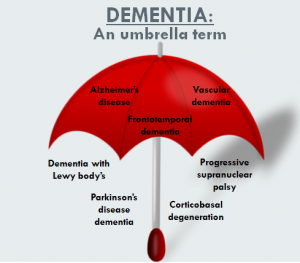 I believe by avoiding certain things and adding certain nutrients you can diminish the risk of dementia. By avoiding MSG (a glutamate), aluminium (all forms foil, cookware, deodorant, vaccinations etc. ), artificial sweeteners, fluoride, mercury (also in vaccines and some fish) and AGE’s (caused by cooking food at high temperatures) you can lower the risk of dementia. By adding Omega fats and some cognitive support along with eating a healthy diet full of fresh vegetables and fruits will go a long way to support a healthy brain for many years to come.